It has been revealed that Arsene Wenger is not getting carried away with new contract talks at Arsenal. 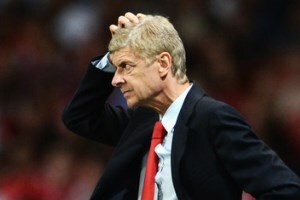 The 63-year old has been at the helm of the North London club since 1996 with his current contract expiring next summer. The Frenchman’s future has been clouded in recent times due to the Gunners’ failure to win a trophy since 2005 but he remains clam on his tenure at the Emirates Stadium. “We are in no hurry,” said Wenger ahead of the weekend’s trip to Sunderland.